I don’t like Pigeons but I like this. The blog title says it all really. I came across these images of Krakow born model, Malgosia Bela and was particularly taken with these shots taken by the amazing Tim Walker for Aquascutum. I love black and white photography and Tim Walker but a love for pigeons? No. I am not a fan (especially the one that visits our garden who Becky, my youngest sister has called Pogo) Friends have often seen me cower behind them if I suspect a pigeon is going to take flight and possibly poop on me. Countless times have I ducked and said pigeon wasn’t even close to me. Embarrassing. 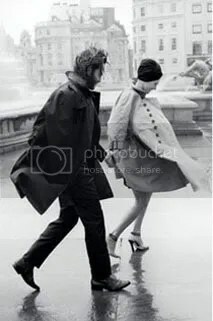 I don’t believe those are real pigeons in the Walker shot. It’s hardly unusual for Walker as realism has never been his thing and I personally love his pastel coloured cats, giant plug sockets and enormous stuffed swans. I definitely regard his artistic vision as something like Alice in Wonderland or even Willy Wonka! The inspiration for the shoot was from the Aquascutum archives, in the shape of Eartha Kitt surrounded by the real deal. 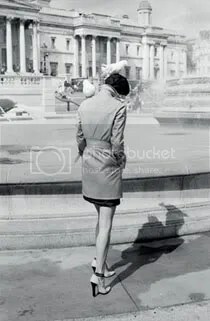 Fat, grey podgy pigeons at Trafalgar square in 1955. I remember when you could buy birdfeed at Trafalgar and genuinely believe this is why I am traumatised by pigeons. Imagine being surrounded by hundreds? 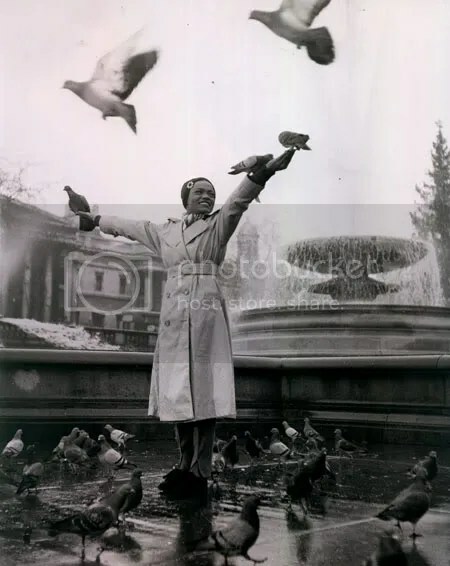 On the other hand, Eartha kitt looks happy to be there and is not unlike the bird woman in Home Alone. I used to ADORE that film as a kid and even had a girl version of the ‘talkboy’ which was ingeniously named the ‘talkgirl’. Anyway, I digress, for a behind the scenes look (and to really check out the beautiful Aquascutum macs and Malgosia’s stunning face) go here!